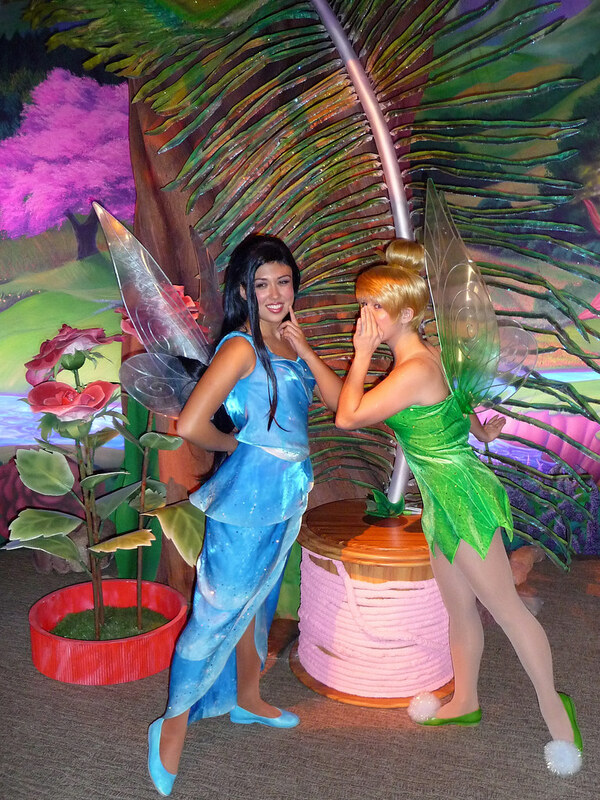 Enter the magical world of the Disney Fairies as you get shrunk down to size and visit them in their home in Neverland, Pixie Hollow. Meet all your favourite Fairy friends from Tinker Bell herself, to the Water Fairy, Silvermist, and the Sparrowman Dust Keeper, Terence. 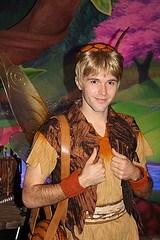 The Fairies love to joke and play, and the also love to pose for pictures and sign their names. Pixie Hollow is a unique and special environment, and the only place you will be able to speak with the Fairies, as when you return to the big world, Fairies and humans cannot each other. 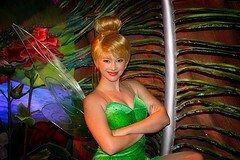 Tinker Bell was always on hand, along with two other random Fairies. The Fairies were there all day, every day. The magical portal to Pixie Hollow has now closed due to the new Fantasyland. 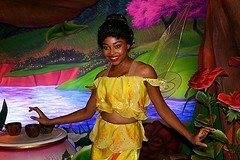 You can still meet the Fairies at the Magic Kingdom, but in their new home at the former Adventureland Veranda, which was transformed in to Tink's Magical Nook.